Welcome to Phoenix’s premier airport hotel, the Quality Inn Phoenix Airport. Located in Phoenix, Arizona, we’re just a short 8 miles to downtown Phoenix and minutes from Phoenix Sky Harbor International Airport. Our hotel is a modern, convenient and comfortable place to stay whether you’re here on business, stopping over between flights or passing through with your family.No matter how you get to us or where you’re going after we’ve got a whole host of features that will transform your time here from travel to an experience. And feel good knowing your breakfast is always taken care of when you stay at our Quality Inn. Each morning we serve a complimentary Deluxe Hot Breakfast which includes items like eggs, sausage, bacon, coffee, cereal and more. From Point A to Point B, we’ve got you covered when it comes to traveling. 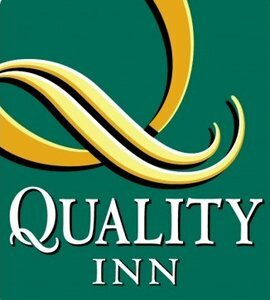 The Quality Inn Phoenix Airport is a one-stop-shop for all your travel needs. We provide a comprehensive set of features designed to make travel easy again, freeing you up to explore some of Phoenix’s great area attractions. Our complimentary airport shuttle bus runs at the top of the hour, every hour. And with transportation covered you can look forward to a quick check-in before dropping your bags in one of our modern guest rooms or suites. We intend to comply with Americans with Disability Act of 1990 (42 U.S.C. ch. 126 § 12101 et seq.) rules respecting screen readers for our website but, in the event that it can't be used, we accommodate on the phone.